Frame: Reinforced Powder coated steel. 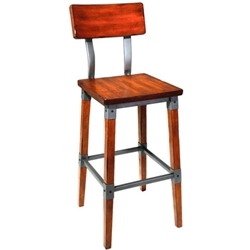 Matching Bar stool without back, Chair, Table and Dry Bar frames also available in this range. Features: Versatile chair ideal for a Meeting table or Visitor seating. Colour: White shell with Blue Circles fabric. Frame: Chrome frame 4 leg. Discontinued line with 2 only available. On Display in the showroom @ $88.00 inc gst each.